Republicans in Congress say they plan to oppose any efforts by the Federal Communications Commission (FCC) to install net neutrality rules that demand internet service providers (ISPs) treat all online traffic equally. The FCC is expected to announce in early 2015 new rules for ISPs that will hue close to President Barack Obama's plea for broadband service to be treated like a utility, and for web traffic to remain on somewhat equal footing, disallowing ISPs to prioritize certain content. Politico reported on Monday that Republicans, who will have a majority in both the US House and Senate come January, plan to act on threats to quash net neutrality. Republican Sen. John Thune, who is set to lead the Senate Commerce Committee, is considering a bill that would aim to thwart any such rules presented by the FCC. Thune is “very interested in finding a legislative solution to protect the open internet, especially if it means keeping the FCC from imposing public utility regulations,” a spokeswoman told Politico. Meanwhile, Rep. Greg Walden, chair of a telecommunications subcommittee in the House, has said he will hold hearings to cast attention on net neutrality rules, and Rep. Bob Goodlatte, chair of the House Judiciary Committee, said he may seek legislation that would aim to undermine the “FCC’s net neutrality authority by shifting it to antitrust enforcers,” Politico wrote. Calling any such net neutrality rules a drag on innovation and competition, Republicans in Congress have said they are contemplating legislation to cut FCC funding, Politico reported, and other methods to hamper FCC moves on net neutrality, according to The National Journal. "Federal control of the internet will restrict our online freedom and leave Americans facing the same horrors that they have experienced with HealthCare.gov," Rep. Marsha Blackburn said earlier this year. Democrats and other supporters of net neutrality say such moves would allow for the creation of a multi-tier system and “fast lanes” in which data is delivered to customers at a speed pursuant to the price paid to ISPs by content creators. “If a party wants to be insistent on being…anti-internet equality, that’s a bad place to be,” said Rep. Anna Eshoo, top Democrat on the House’s telecom subcommittee. Adding to the mix is a Republican plan to address possible changes to the Communications Act, which guides the FCC and its regulation of cable, wireless, and phone companies. The Communications Act has not been revamped since the mid-1990s, a long way from telecommunications operations of today. Republicans may tie this debate to its net neutrality maneuvers, according to reports. Senate Democrats, meanwhile, have urged Republicans to avoid linking net neutrality to any reform of the Communications Act. Adding to the debate are the possible sales of Time Warner Cable and DirecTV to Comcast and AT&T, respectively. Comcast is seeking FCC approval for the $45 billion acquisition of Time Warner, while AT&T wants the okay to buy DirecTV for $48.5 billion. In November, Pres. Obama advocated for a plan more in tune with the demands listed in a highly successful petition that garnered more than 105,000 signatures when it was posted on the White House website earlier this year. In both instances, the FCC was urged to reclassify ISPs as “common carriers,” like utility companies, which would then give the agency distinct regulatory tools to promote net neutrality. “This is a basic acknowledgment of the services ISPs provide to American homes and businesses, and the straightforward obligations necessary to ensure the network works for everyone — not just one or two companies,” Obama said. 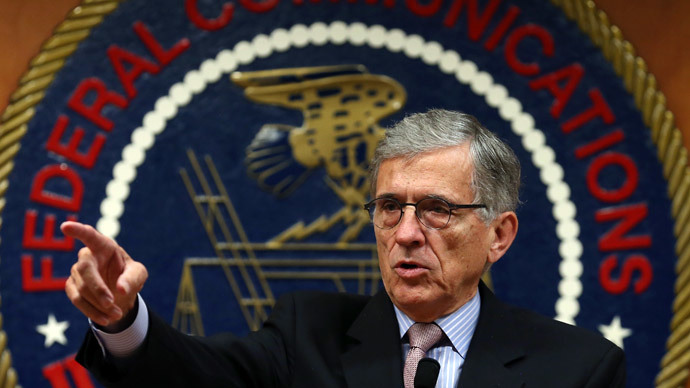 Shortly after the president weighed in, however, Wheeler fired back with a response in which he said his agency will hear Obama’s plea, but with the same regard as the four million or so other comments received by the FCC over the pending rules. “We must take the time to get the job done correctly, once and for all, in order to successfully protect consumers and innovators online,” Wheeler wrote. In response to Obama’s call for an adherence to net neutrality principles, Sen. Ted Cruz likened any such moves to the GOP’s favorite boogeyman, the Affordable Care Act, or Obamacare. A previous attempt by the FCC to install net neutrality rules was rejected by a federal appeals court. In January, the court said ISPs should be allowed to restrict access to websites and block certain content from customers, depending on how much consumers pay to be connected. The three-judge panel agreed with Verizon and said the FCC had classified broadband service providers in a manner that excluded ISPs from the anti-blocking and anti-discrimination requirements instilled through the Open Internet Order.